I'd like to begin by trying to define the safety-first rule in the context of CFA preparation. "Plan your preparation safely to minimize the risk that your GOAL is NOT achieved. 300 study hours – they’re just a benchmark, not a guarantee of success. Aim for more than that, say 400 hours. Even if it means you’ll need to forgo some of your free time. You give up this luxury to maximize the chances that your objective IS accomplished!" Since the CFA exam is really an investment – and a big one – I think this kind of a rule is just perfect for us to use with about 6 months to the exam. And though it’s a bit against everything you’re told like: "Be confident! You can do whatever you want if you want it hard enough! ", it’s so smart to first make sure you fail at nothing while you set off to achieve something. And surely I’m for confidence, but I like when it goes together with awareness. Because, in the case of CFA endeavor, it is wise to put the respect for the exam before ill-defined self-confidence. Candidates are usually said to begin their preparation 4 months before their CFA exam. The average number of hours they spend studying over this period is about 300. But what if 300 hours is simply not enough? What if it’s a prerequisite that cannot guarantee your success? Objectively speaking, it is hard to arrange more than 300 hours within 4 months, especially if you have a regular work, family, and your daily duties to take care of. And while it’s surely true that an average CFA candidate spends about 300 hours studying before the exam, the passing rate of just above 40% is also a fact. And you want to do better than that! respect the CFA exam plan to do better than an average CFA candidate arrange 400 study hours (or even more) to successfully prepare for your exam start your prep NOW, that is 6 months before your exam. This precautionary approach is what it takes to apply the safety-first rule that can help you capitalize on the time you invest in your CFA exam preparation. With 6 months to the exam, you can easily plan for roughly 400 hours of studying during your exam prep. You'll find lots of time for regular reviews + you'll be secured against any unexpected events like busy periods at work, ill child or whatever else can make you give up your planned study sessions. Even if you decide to adopt the plan, there are 2 major threats that can seriously impede your preparation. 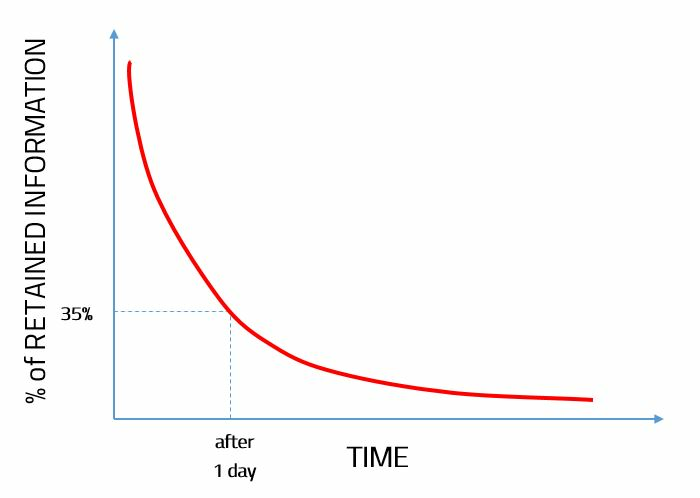 One is about inefficiency and the other about the forgetting curve. Be wary of ideas that would come to your head to tell you that since you started your preparation earlier than others, you have already gained an advantage that will surely pay off in the end. The thing is it should, but it may as well not. To make this advantage work to your benefit, you have to study as diligently and efficiently as you can from the very beginning. If you are too lenient with yourself instead of being competent and effective about your prep all way through, your advantage will melt away. Even worse, your inefficiency may surprise you and leave you empty-handed. So: you better fix your mind on your ultimate goal, which is to pass your CFA exam, and keep this goal in front of your eyes while studying! And that it’s surely worth starting your prep this early before the exam, let’s convince ourselves by looking at the other menace, namely forgetting things you already learned. All the topics are divided into 4 Study Blocks. Every block always ends with topics revision. Ethics is treated exceptionally – you’ll read it as first and review it as last. After you study & revise all the topics, there’s Final Review ahead of you! The time of filling in knowledge gaps, practice tests, and mock exams. Good luck! The topic sequence used in our study planner is not random. It is designed to help you focus on the most important topics first. Also, more challenging topics are coupled with more easy ones allowing you to take a sort of a break meanwhile. As already said, Ethics is treated exceptionally. It’s scheduled at the beginning and at the end plus you’ll be asked to study Ethics Standards also in between other topics to learn them thoroughly. As soon as you opt in for your 6-month study plan, you’ll find out what I mean . It all wraps up with a proper review! The last month before the exam is for you to see how well you’ve prepared for your CFA exam. It’s usually the most intensive of all the study time with mocks and other practice tests. But this Final Review will be just a cherry on top if you regularly review after each quality-time Study Block. You can count on that! the deadlines will get adjusted.